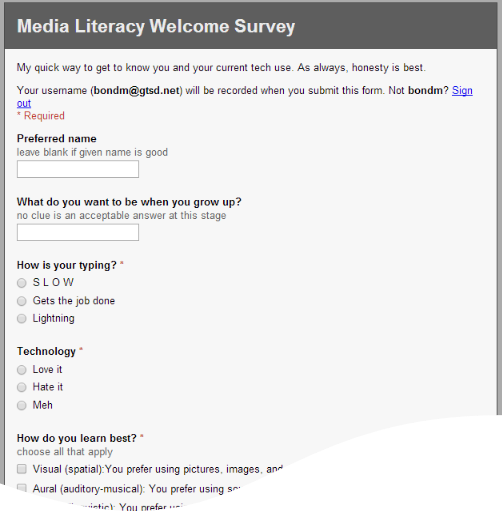 Many teachers use Google Forms as a quick assessment or survey tool. The latest Google Apps newsletter shares a new feature that I think many teachers will appreciate: the ability to shuffle answer order. The below how-to is from the Google Forms Help page, "Add and edit questions, headers, images, videos, and page breaks." GTSD staff are encouraged to contact Mrs. Bond to learn more about Google Apps for Education or for support in incorporating these tools into the classroom routine.